If Guillermo Del Toro directs something, you know it’s going to be unique. 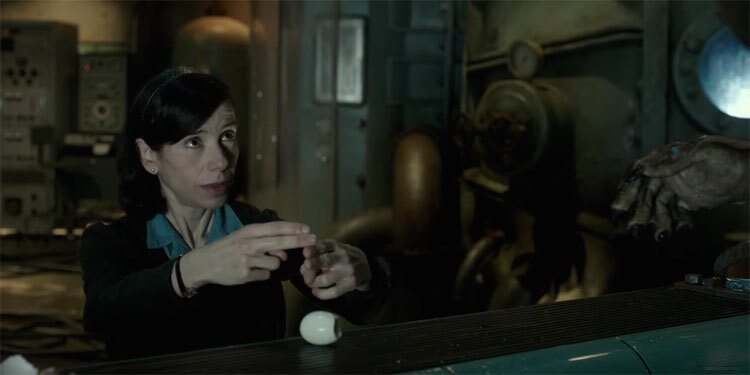 Although with The Shape Of Water he seems to have been taking in a few inspirations, from the likes of ET and Amelie to the character of Abe Spien in Hellboy. It certainly looks like it could be something special, and early feviews from film festivals suggest the Pan’s Labyrinth and Pacific Rim director hasn’t lost his touch.. If Guillermo Del Toro directs something, you know it’s going to be unique. Although with The Shape Of Water he seems to have been taking in a few inspirations, from the likes of ET and Amelie to the character of Abe Spien in Hellboy. It certainly looks like it could be something special. They’re finally starting to pull the cast together for the upcoming Star Trek: Discovery. Things have been delayed a little, as originally the first episodes were due out in January, but not they’re expected some time in May 2017. So who will be heading to the set? Well, it’s been revealed that Michelle Yeoh and Doug Jones have both been cast, as has Rent’s Anthony Rapp, who will be playing the majot gay character co-creator Bryan Fuller announced would be part of the show back in August. The official Star Trek website confirms that, ‘Jones will play Lt. Saru, a Starfleet science officer and an alien species new to the Star Trek universe. He is a respected actor with a large following of sci-fi and horror fans as a result of his creature performances in the likes of Buffy the Vampire Slayer, Hellboy, Legion, Pan’s Labyrinth and The Strain. ‘Yeoh is set to play Captain Georgiou, the Starfleet captain aboard the starship Shenzhou. She is an internationally known actress and action star whose many credits include Tomorrow Never Dies and Crouching Tiger, Hidden Dragon. Some had though that when Yeoh was first rumoured a few days ago, she would be the show’s main character, as Fuller had said the show would be seen through a female character’s eyes, who won’t be the captain. However it doesn’t appear Yeoh will be that character, unless the announcement she’s the captain of another starship hides the fact she’s end up on the Discovery and no longer a captain. Not too much more is known about Rapp’s character, although it has been confirmed that Stamets will be gay. Whether he’s in a relationship isn’t known, or indeed how his sexuality will figure into the series. We’ll have to wait another six months to find out! The series will be available to stream via CBS: All Access in US and Netflix in the rest of the world next May. Win The Miseducation of Cameron Post DVD & Book!